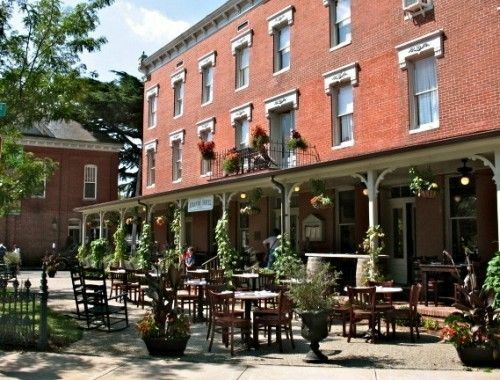 There are so many trips that I like for different reasons and here are some examples and why: Williamsburg/Jamestown/Yorktown* or Civil War Trails* for the historical aspects, the beautiful mountain state of West Virginia* or southern charm of Savannah* for the scenery, and some are just plain fun, like Brooklyn Christmas Lights, Villa Roma Resort in the Catskills*, or the Atlantic City Overnight Getaway! But the trip I get the most satisfaction from is the day trip to the 9/11 Memorial and Museum. Why is this one a top favorite for me?? Aside from being able to pay my respects to friends, and others, who perished that day, it’s also because it gives me a renewed sense of hope that the city has been rebuilt and can move on. I’m a New Yorker, born and raised in the outer boroughs. Going back to the city provides a connection to my home, my early years, and my family, but it also gives me a connection to our country’s beginnings. Downtown isn’t just a commercial area that evolved over time, to become a center of world trade and commerce. It was founded in the early 17th century, as a place from which commerce would emanate. In 1609, when Henry Hudson sailed into the harbor that Giovanni da Verrazzano first discovered in 1524, it was for the Dutch East India Company, looking for that elusive passage to the east. 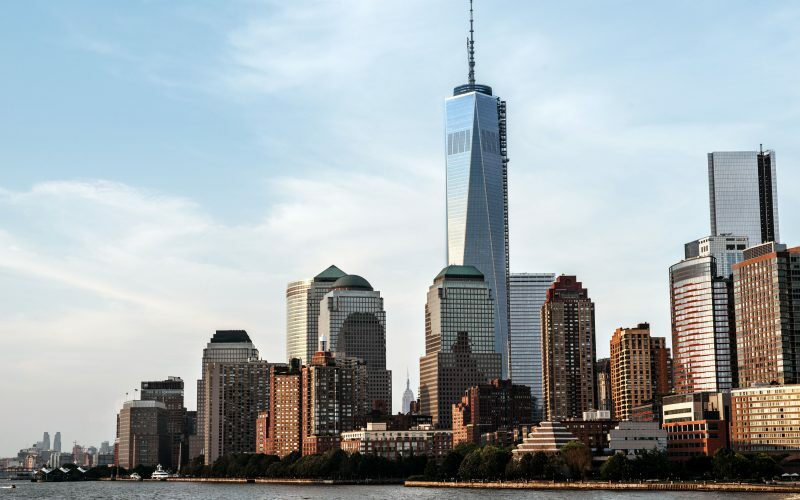 Unlike Boston, Philadelphia and Baltimore, which were founded on religious freedom, New York, or New Amsterdam as it was called then, was founded for commerce – freedom of trade. I love to tell my passengers stories such as the one about the early Dutch settlers who were merchants, not soldiers, so when the British came in to take over the colony for the King and England, they went along with it, much to “Peg-leg” Peter Stuyvesant’s chagrin. Now, 400 years later, we still have the effects of the original Dutch settlers in NY, in town and street names as well as many Dutch words. Did you ever wonder why we eat cookies here but in England they eat biscuits? On this trip, I’ll tell you why. 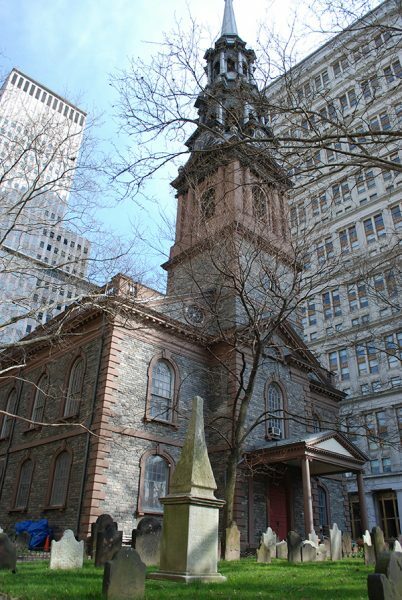 Another place I always visit when I’m downtown is St Paul’s Chapel, which miraculously suffered no damage in the 9/11 attacks and served as an area of refuge for the rescue workers during the trying and difficult weeks that followed. It’s also where George Washington prayed before he was sworn in as our first president. He took his oath of office on the second floor balcony of Federal Hall, at Wall and Broad Streets, just a short walk from there. The early history of our country is pretty well wrapped up in that small, downtown area of Manhattan, now larger than when the Dutch and English settled there. Years of landfill from the tunnels and subway have changed the area around the battery and Castle Clinton, which, when it was the Southwest battery, was actually out in the river. One other tidbit, Manhattan is from the Lenape word, Mannahatta, meaning hilly island. Those are some of the of the many reasons I am so drawn to it and love to share that information with my passengers. Come join me on the 9/11 Memorial and Museum tour on July 15th, August 8, September 23, October 14, or October 22! *I am not directing these tours this year. Escorting passengers three times on Starr’s Cross Country tour has touched me with so many terrific memories. Of course, there were the famous landmarks beginning with the Gateway Arch in Missouri, the Grand Canyon in Arizona, Mount Rushmore in South Dakota, Old Faithful in Wyoming, and the Golden Gate Bridge in San Francisco. Not to forget the Grand Teton Mountains, the Great Plains, the Sonoran and Mohave Deserts, Lake Tahoe and streams and waterfalls, and the Pacific Ocean. Even with all of this beauty and wonder, I will never forget the in-between memories that were reflective of the passengers on the tour as well as the people I had met along the way. One day after being on the road for a week, one of our passengers asked me if he could talk on the microphone for a few minutes. Not knowing what he was up to but thankful for a talking break, I quickly agreed. Little did any of us know, he was observing our daily activities and would spend his evenings writing lyrics about some missteps— like someone leaving house keys in a hotel room, meeting up with a snowfall in Nevada in July, or being awakened in the middle of the night by a hotel fire alarm because someone got stuck in the elevator. Not only did he sing the song but he accompanied himself with a portable cassette player—remember them? We laughed so hard and so long that he never had to ask for the microphone again. He had a standing gig on the bus each week thereafter. We could hardly wait to hear what and who he was going to sing about next. Food was always on our minds when traveling cross country. Starting with satisfying hotel breakfasts to surprise snacks shared by our passengers. It was not unusual for a bag of grapes to suddenly appear being passed up and down the aisle followed by a big bag of chocolate candies. Then there was the box lunch in the middle of the Painted Desert in Arizona – not another vehicle in sight as we savored the solitude and the indescribable landscape. Dinners ranged from fine dining menus to pizza delivered to hotel rooms. One of my favorite food memories was our stay in Los Angeles. Our hotel was across the street from Ralph’s Supermarket. One of the passengers asked me what my dinner plans were for the evening. I mentioned I was going over to Ralph’s for a roasted chicken and something from the salad bar. She thought that was a swell idea and joined me by the pool. There we were surrounded by California palm trees and digging in to our dinner with plastic knives and forks. Fine dining— at least in our minds! Starr has that figured to a “tee”! —pun intended. Many of the hotels en route have laundry facilities on-site. The passengers were great about taking turns doing their laundry to everyone’s satisfaction. 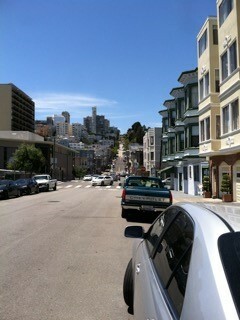 After 14 days on the road, I decided to do my laundry in San Francisco. Unfortunately, for me, there were no on-site facilities. Desperate times called for desperate measures. So after a few directions from the front desk, I packed up my dirty laundry in a small suitcase and rolled my way up a couple of hills in San Francisco to the neighborhood laundromat humming, “I washed my socks in San Francisco. . .” Being in the heart of this famous town, game me a bird’s eye view of its diversity when I met a young man from New Jersey who moved there a year ago for a job. He was cleaning his apartment and doing his wash before his mom’s visit that weekend. Then there was the girl with multiple tattoos who ran in and out checking on her stash in the dryer. While waiting for my wash to be completed, an elderly Chinese gentleman wearing a large straw hat, asked me if I was from Australia? Somewhat amused, and somewhat flattered, I asked him why he would think that. He said, “because everyone that comes in here is from Australia.” I had to chuckle because when I first arrived at the laundromat— a mother and daughter who helped me maneuver the money changer told me that they were on a three-week tour of the States – from Australia! On our 26th and final day on the road and after traveling over 7,000 miles—yes, on a bus—yes, with the same people—a couple of our male passengers asked if they could say something to the group. It came as no surprise that their comments brought tears to everyone’s eyes. They, too, spoke about their memories that no guidebook could explain nor postcard could picture—those in-between memories! I hope you one day have a chance to collect your own treasure trove of in-between memories on our wonderful Cross Country tour! “That was the best play I’ve ever seen,” my mom proclaimed as we exit Broadway’s Schoenfeld Theatre. Me, I’m still processing. We had just experienced a preview of Broadway’s musical “Come From Away” and I was still wiping away tears from the moving performance. “It was incredible,” I reply, knowing that any words I spoke would fall short of being able to describe the emotions running through me after witnessing such an amazing story and production. Audience members were on their feet even as the last note was sung. With scores of Broadway shows under my belt, I have never seen a standing ovation happen so quickly — and so well-deserved. The diverse cast of 12 actors – 6 female, and 6 male – had the difficult task of conveying multiple characters on a simple set through humor, heartache, and the blending of numerous personal experiences of the people whose stories they were trying to tell and they nailed it – I truly don’t know how they could have done it better. 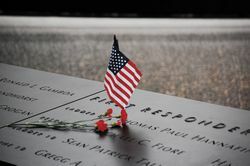 On the morning of September 11, 2001, people all over the world were witnessing the crushing news reports that planes had struck the World Trade Center and the Pentagon. In the air, however, aircraft passengers were held aloft, suspended in time, unaware of what awaited them. Shortly after the planes struck the World Trade Center, the FAA ordered a closure of the North American airspace and commanded all planes to land immediately. As a result of this closure, over 200 flights bound for the United States were redirected to Canada. Thousands of people were stranded, away from home, for five days in the midst of the most devastating terrorist attack in United States history. Gander International Airport served as a refueling stop in the early days of transatlantic flights. As planes evolved and were able to travel longer distances, the air traffic to the crucial airport slowly dwindled and the town settled into a quieter life. The airport takes in only about 10-15 flights these days, but on September 11th, nearly 40 flights carrying over 6,500 passengers were suddenly redirected to the small town, raising their population by 66% in a matter of hours. There weren’t enough hotel rooms, restaurants, or other resources to handle that many people, but instead of resorting to stressed hostility, the people of Gander responded immediately with remarkable kindness. As Gander prepared for the sudden influx of people on the ground, passengers in the air were told very little. When the planes landed in Gander, the passengers were kept on board the aircraft for over a day while clearances were arranged. Few had phones and little was told to them by the flight crew. While the anxious travelers were trapped on the planes, the people of Gander prepared. They gathered blankets, pillows, medical supplies, toiletries, and everything else they could think of that the passengers might need. The supplies came from stores who freely donated them and households who had anything to spare. They cooked. They filled every community center and school with cots and bedding to house the “plane people,” and when those spaces ran out, they opened their homes. When the scared and weary passengers were finally able to disembark from the cramped quarters of the planes, they were met with bagged lunches and the smiling and friendly faces of the people from Gander who were ready to welcome thousands of strangers with open arms. For five days, Gander and surrounding small towns hosted the plane people, the “Come From Aways.” The local telephone company set up phone stations so that the people could call home. The television station set up TVs in the schools and community centers so that people could remain informed on what was happening in the United States. 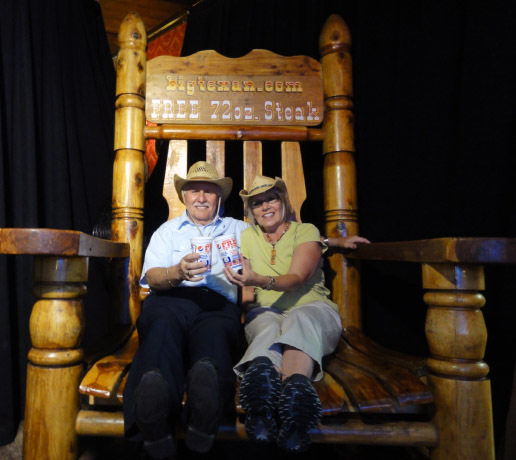 The Gander residents threw cookouts, and gatherings, and worked day and night to take good care of their 6,500 guests. For five days worlds and people collided in a small town in Canada and the immense generosity of the human spirit shone through the darkness. 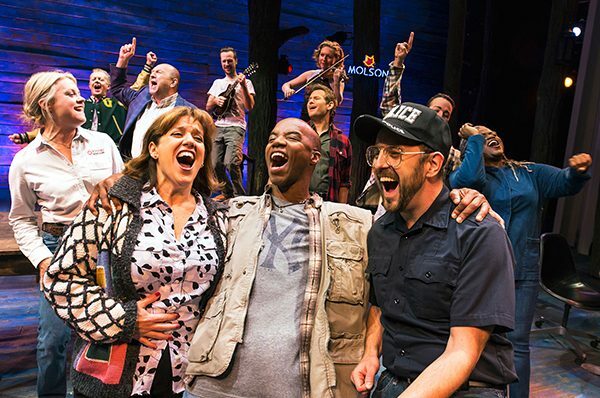 “Come From Away” is the story of these five days. 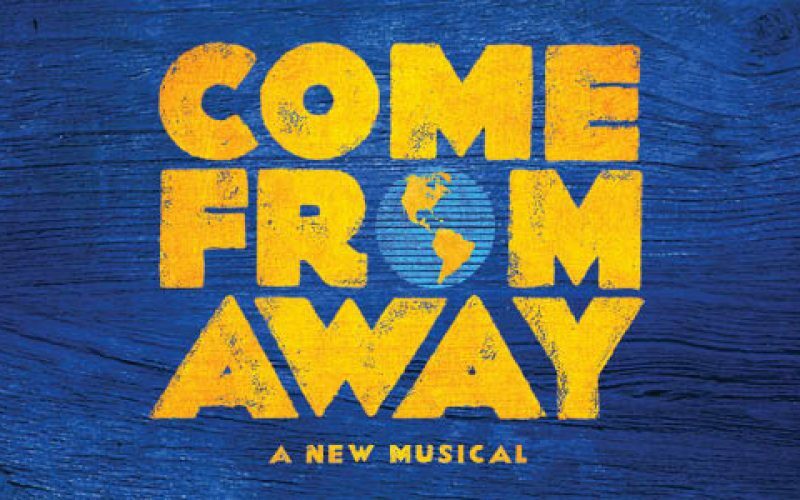 “Come From Away” opens this weekend on March 12th (2017). You can get your tickets and bus transportation through Starr on our website or by calling Starr at 800-782-7703. 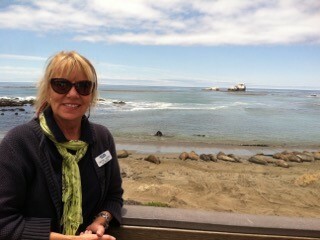 My name is Jan Berger and I am one of the Tour Coordinators in Starr’s Tour Operations Department. Around this time of the year, my fellow Tour Coordinators and I are busy working on the itineraries and reservation details for the upcoming tour season. One of the new tours in my area of responsibility is the Mid-Atlantic Maritime Magic and I felt I just had to write about this great little get-away. This little gem of a tour has so many wonderful attractions! The “magic” in the name of the tour is two-fold. An actual magic show is the featured entertainment one evening; but to me, the magic is the delightful components of this three day tour. 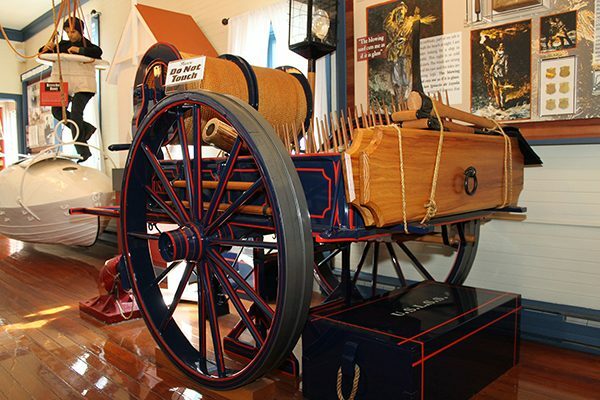 The first day features maritime history with the Chesapeake Bay Maritime Museum in St. Michael’s, MD. Established in 1965, the Chesapeake Bay Maritime Museum is a world-class maritime museum dedicated to preserving and exploring the history, environment and people of the entire Chesapeake Bay, with the values of relevancy, authenticity, and stewardship guiding its mission. The museum’s campus includes a floating fleet of historic boats and 12 exhibition buildings. Its collection of Chesapeake Bay watercraft is the largest in existence numbering about 85 boats! 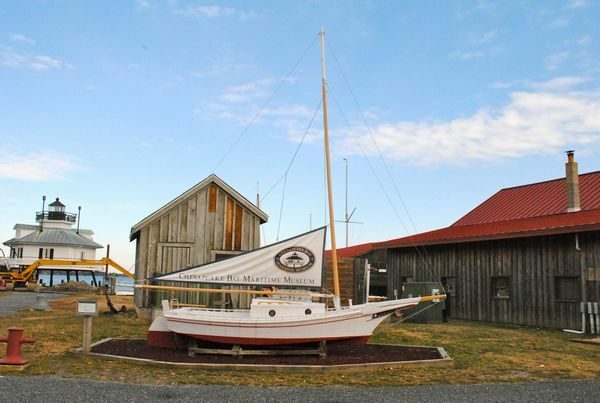 The Chesapeake Bay Maritime Museum is the only museum devoted to interpreting the entire maritime region of the Bay. Overnight accommodations for this lovely vacation are located directly on the beach in Ocean City, Maryland where every room features a private balcony with ocean views! Get ready for another day filled with fun and fascination! The second day starts with the O.C. Life Saving Station. Housed in a beautifully restored building, the Station highlights exhibits concerning the history of the Life-Saving Service featuring aquariums, doll-house replicas of hotels that once lined the boardwalk, shipwreck artifacts, a mermaid collection, bathing suits from the past, and a Sand-From-Around-the-World exhibit. and learn all about the fascinating creatures we discover as our naturalist collects and identifies our catch. 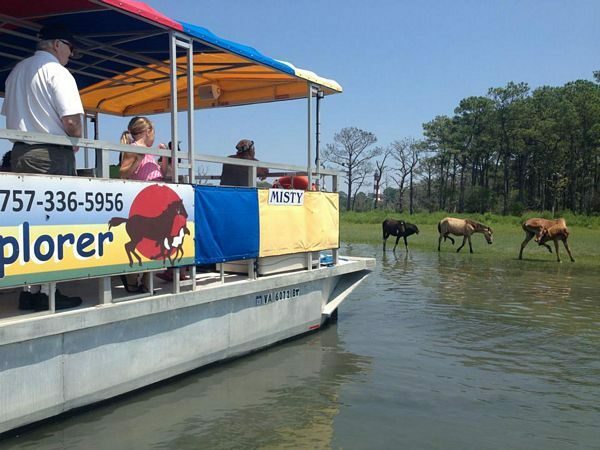 We’ll explore salt marshes, observe ospreys, pelicans and other unique marine birds; and, of course, no cruise is complete without viewing the famous Assateague Ponies! This may be just the thing you need for a fun, enjoyable learning experience during your stay in Ocean City. Later, get ready for a magical evening at Dicken’s Parlour Theatre where some of the world’s best magicians entertain and mystify audiences in an intimate 60 seat theatre. Afterwards, you’ll be treated to a special meet and greet with the performers who will delight with a few more magic tricks at each table! On the last day you’ll visit the DiscoverSea Shipwreck Museum which houses an ever-changing exhibit featuring new artifacts as they are recovered from wrecks off of Delaware’s coast. The collection of shipwreck and recovered artifacts is one of the largest in the Mid-Atlantic and contains shipwreck artifacts both regional and worldwide. Finally, what would a visit to the coast be without lighthouses? 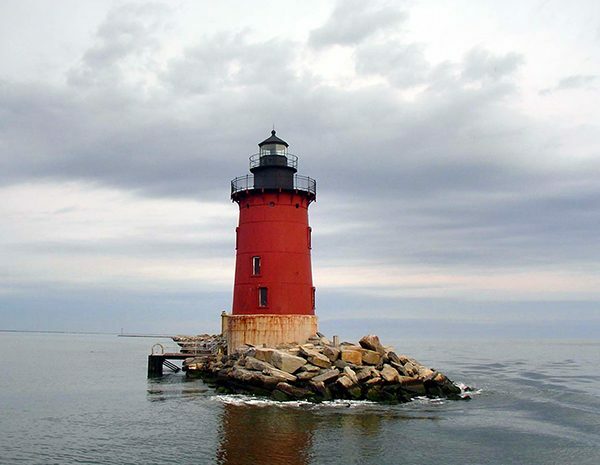 We will make two lighthouse visits for some great photo ops; the Fenwick Lighthouse, built in 1858, and the Delaware Breakwater, built in 1767 and also known as the Cape Henlopen Lighthouse. And what’s a vacation without shopping? We can’t pass up a stop at the Tanger Outlets in Rehoboth Beach where we can pick up “a little something” for ourselves or that person we left at home! Our departures are in early May (Aren’t you ready for a little sun and sand? ), and early October (The crowds are gone but the weather should be perfect!) Come join us!